Here you should find the answers to most of the questions you want to ask. Everything the site's overview doesn't tell you in an obvious manner is also referenced here. Good luck. Est-ce que le site CodeLyoko.fr est en français ? Mais bien sûr ! Il faut simplement cliquer sur l'image Jimarianne à gauche, au-dessus des Sections. That's all done on the Register page. Then, the member space will be accessible up the top of the site. That's done in the member space. For that, you need to be registered. That's normal! The two accounts are separate. You need to create two different accounts, one for the site and one for the forum. I follow the series but I missed one or more episodes... What do I do? There are a number of solutions. You can wait for it to air again or look online if you can't find it. If not, on our site, you can use the Episode Guide to read a summary of the episode. If you don't have the episode handy, the second best thing is to look at episode files in the Guide. In French, we also have the episode scripts on the Conceptual Documents page. All music from the series is available in the “Media” section. They're all available in the “Media” section. The music changes. The video, however, rarely does. You can find all the audio versions and the few different video versions in Media. For the countries where Code Lyoko was aired but there's no opening music in our database, this simply means that the opening remained in English in this country. This is the case for Italy. What should I do to know everything there is to know about our heroes' adventures? -	Seen all the episodes of Code Lyoko & Code Lyoko Evolution. You can find the list in the Episode Guide. -	Read the comics from the old official magazine. They are available (yes, in English!) on the comics page. -	Read the four “Code Lyoko Chronicles” novels. They are available (again in English) in the “Chronicles” section. I'm looking for nice images from the series. To find nice images from the series, you can look through the image galleries filtered by episode or character. Some official wallpapers are also available in the Customization section. But if you're looking for original drawings done by fans, look in the Fanart area. You'll find the best of them in the Gems Online section. I'm looking for renders of elements from the series to create collages. They're available on this page. I want to play a Code Lyoko video game. Does one exist? You have a choice between four things. The 3 official video games for console, a series of Flash games that are basic but a good way to kill time, the Code Lyoko social game and even the superb, quality video games developed by fans. For the Flash games, they're available in one of the sections to the left. For everything else: head to the Video Games page. The best way is to contact this group of fans on Facebook. It groups together the best players in the world, as well as Shana, our partner expert on the game. You can also consult Shana's blog. I love one of the actors from Code Lyoko. I want to contact them. First of all you can find lots of information on the actors by consulting their section. Then, you need to really keep in mind that the actors' private lives need to be respected. The actors can't be endlessly bothered by all the fans that want to talk to them. So you need to find them and contact them directly. The actors sometimes pass messages to fans via CodeLyoko.fr. So, follow the news on the site. If not, some actors have social networking accounts [Facebook/Twitter], that are intended for public viewing. You can greet them and send them a message there. Is there a fan meetup in the works? There have already been several fan meetups. 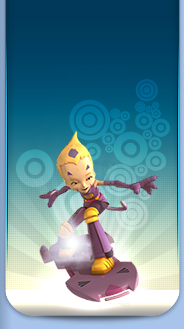 You can find out about them in the Lyoko-Events section. To find out if another one is being planned - although they're pretty much only in France - follow the site news on our homepage. 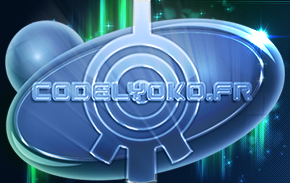 You can also try to find fans near you on our partner forum, CodeLyoko-Evolved.